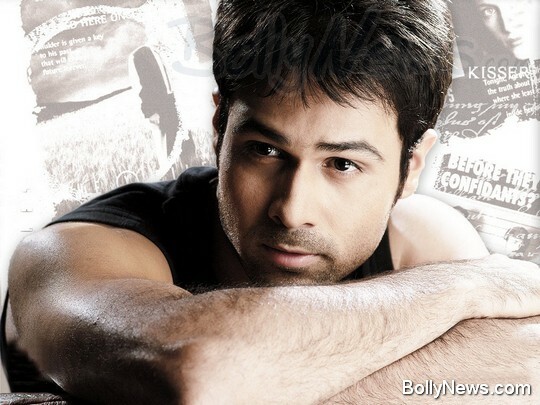 BollyNewZ.com » Emraan No More a Bhatt Loyalist! Emraan Hashmi, who has worked ample times with the Bhatt camp in films like ‘Murder’, ‘Aksar’, ‘Zeher’ and ‘Awarapan’, has virtually shot to fame under the guidance of the the Bhatts. But it seems that this star who is famously known for his ‘Kisser’ image is all set to put his foot outside the Bhatt banner. The successful Bhatt-Hashmi duo has given huge blockbusters and seems to be the perfect formula for success. His recent films under the Bhatt banner i.e. ‘Jannat’, ‘Raaz 2’ and ‘Tum Mile’ have all been successful. This lethal combination seems to know the perfect path to success but the Bhatt camp seems to be possessive about the actors it works with. Surprisingly, once upon a time the Bhatt camp’s favorite, Hashmi has now signed Milan Luthria’s film ‘Taxi Driver’ which will be produced by Kumar Mangat. It seems that this news of Hashmi stepping out of the Bhatt banner has not gone down too well with the Bhatts. The earlier news of Emraan signing ‘Once Upon A Time’, also with Milan Luthria, got the Bhatts fuming with anger. They were so annoyed with this news that they immediately roped in director Kunal Deshmukh to make a film with Emraan before ‘Taxi Driver’. Emraan plays a taxi driver in this flick where he contracts AIDS through a prostitute. Emraan is already in process of doing research for this film. The Bhatts in our opinion should just relax and let its actors loose to showcase their talent with variety of directors in order to grow. After all, variety is the spice of life!